I have completed all Downloads for Counter Strike: Source, now I want to play offline. So, Please give a detailed procedure for playing offline. 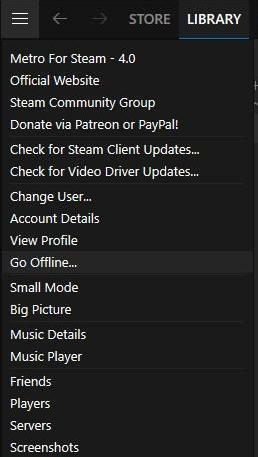 Open the dropdown menu in Steam. All you have to do to play offline is create a server and put a password on it (this field is under the "Game" tab after you click "Create Server"). Not the answer you're looking for? Browse other questions tagged steam counter-strike-source or ask your own question. Changing the Cross-Hair Scale After the Update? Why does Counter-Strike Source have low frame rate? Can I allow my friend to Family Share a game I own and use via Family Sharing another friend's copy [of the same game]?